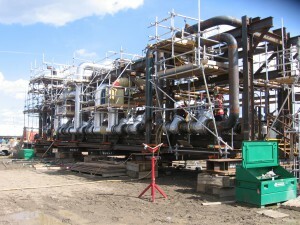 In Alberta, Canada, modular assembly has become the preferred method of Industrial Construction. Modular assembly differs from conventional Stick Built structures in that it is highly efficient and can eliminate barriers such as changing site conditions, tight schedules and availability of qualified skilled field labour. Superior Steel Erectors can provide the skilled labour to assemble modules locally as well as install finished product modules on site.